One of the best things about SHRINK is the free upgrades for our customers. In mid-2015, we piloted a release fortnight release cycle. This allowed our customers to perform Silent Upgrades to their SHRINK servers without any downtime for the users. It turned out to be a very welcoming success. Early this year, we rolled out to some more customers to see if they would be interested and today, we are thrilled to announce the Fortnight Release Cycle for all our customers for free. SHRINK offers the best enterprise-grade compression for our customers. The latest version of SHRINK packs some of the most important updates and performance improvements to the overall system. NEW! Mount Mapping System - The all new Mount Mapping System is now available with a lot of updates and performance improvements. 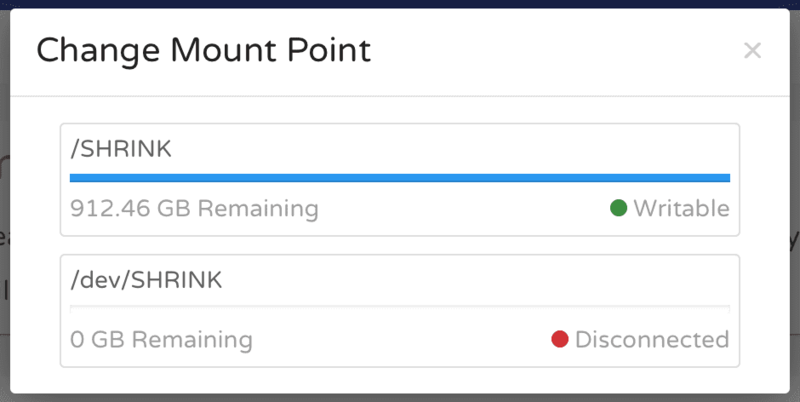 You can now access the new Mount Mapping System from your Admin Console and start choosing individual mounts for both Active and Archived files. More details on this will be available in your documentation. NEW! SHRINK Push - This is a all-new service which runs a very powerful Push Notifications Server (PNS) right inside SHRINK. So the hassle of having to require Internet to use real-time features are now gone. Forever. UPDATE! File Migrations - Major performance improvements were made for the file migration module in this release. The file indexes now happen in real-time. So the when the import is still in progress for a particular user, they have the ability to partially search their files from SHRINK Web. UPDATE! Annual Billing Option - Thanks to our customers for their tremendous support. We’ve now added an option to renew their licenses from within SHRINK annually, rather than quarterly basis. You still have granular licensing options if you prefer that. UPDATE! Folder Requests - Third-party users will now be asked to enter their First and Last Name when a new Folder Request is made. This is just to make sure we know who is uploading the file your team member requested. PATCH! Naming Conventions - There was a bug which allowed your team members to enter special characters in folder names. Though it was not a show-stopper, we were not comfortable with it. The bug has now been fixed. PATCH! Document Thumbnails - An issue where document thumbnails were not generated properly is now fixed. A lot of other important back-end network speed improvements, caching improvements and under-the-hood upgrades were done in this release. 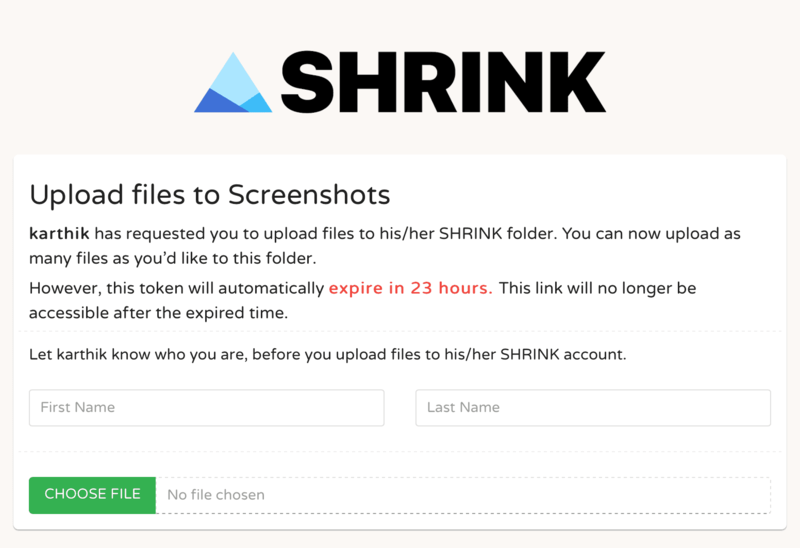 Just today, we started working on the next release which packs a whole bunch of updates to the end-user side of SHRINK. Now that you are happy, we would like to make sure your teams are happy too. If you are our customer, thank you for running a smart business that suits 2016. If you are not our customer, we would love to talk to you. SHRINK works for businesses of any size. Now is the best time to try SHRINK for your business to get your unstructured data, compressed & structured. Let us know who you are, and one of our engineers will talk to you directly.